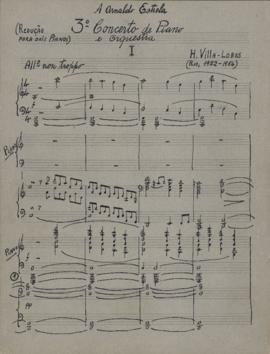 Item is an autograph manuscript of Heitor Villa-Lobos's reduction for two pianos of his Piano Concerto No. 3, completed in New York in 1956. 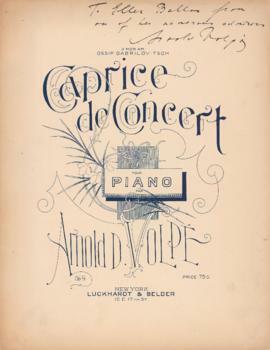 The composition was commissioned by the Brazilian pianist Arnaldo Estrella. 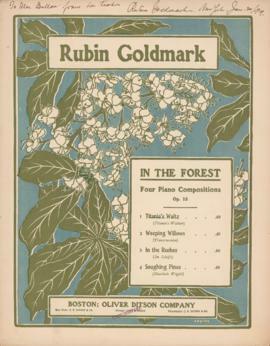 Item contains the first piece in Rubin Goldmark's composition "In the Forest: Four Piano Compositions." This piece is dedicated to Paolo Gallico.